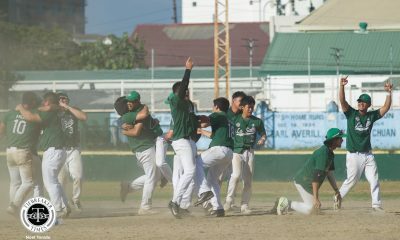 Coming off their first loss of the season last Sunday at the hands of the Adamson University Soaring Falcons, defending UAAP Baseball Champions Ateneo de Manila University Blue Eagles weathered a hijack attempt by the De La Salle University Green Batters, 9-6, Valentine’s Day at the Rizal Memorial Baseball Stadium. With the win, the Blue Eagles create a logjam at the top of the leaderboard as they are tied at 3-1 with the Green Batters, and the winner of the UST Golden Sox-Soaring Falcons tilt. 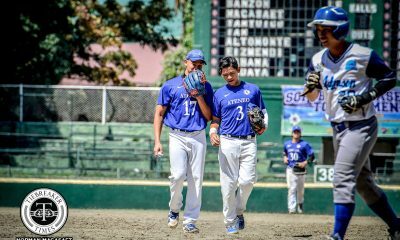 The Blue Eagles were off to a rousing start, punching in a huge five-run rally during the fifth inning that gave Ateneo an imposing 8-1 edge. 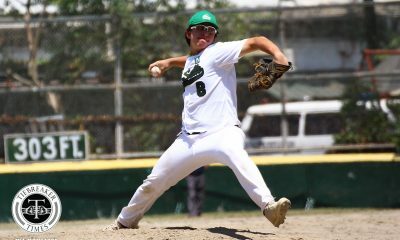 Errors and miscues by the La Salle defense led to runner Marco Mallari reach third base. A single by Javi Macasaet brought home Mallari that provided the spark for the Blue Eagles. Macasaet, Ryan Hilario, Marquis Alindogan, and Dino Altomonte were able to pick up runs. 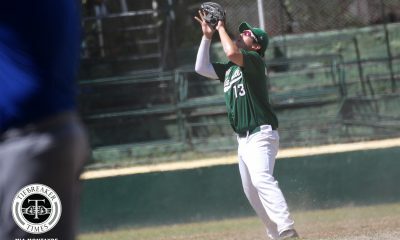 On the other end however, the Blue Eagles had errors of their own that ignited the Green Batters. With two outs, and with Anton Acuña and Diego Lozano on base, Ateneo struggled to close out the inning. Iggy Escano and Jonathan Park were able to get on base due to a fielder’s choice attempt and a walk. Acuña and Lozano were able to get back home, while a catching error at first base later on led to an Escano run. Acuña continued to roll, connecting on a triple during the sixth inning that later became a run. In the next inning, a Park triple and a Lorenzo Amado double sliced the lead to just two runs. 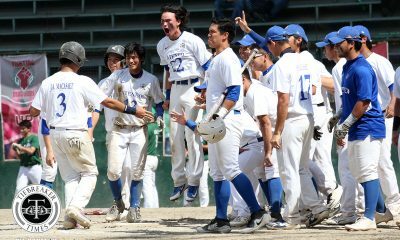 Paulo Macasaet and the Ateneo defense were able to hold their ground in the last two innings, while back-to-back doubles by Hilario and Alindogan in the ninth inning provided the Blue Eagles an added cushion. 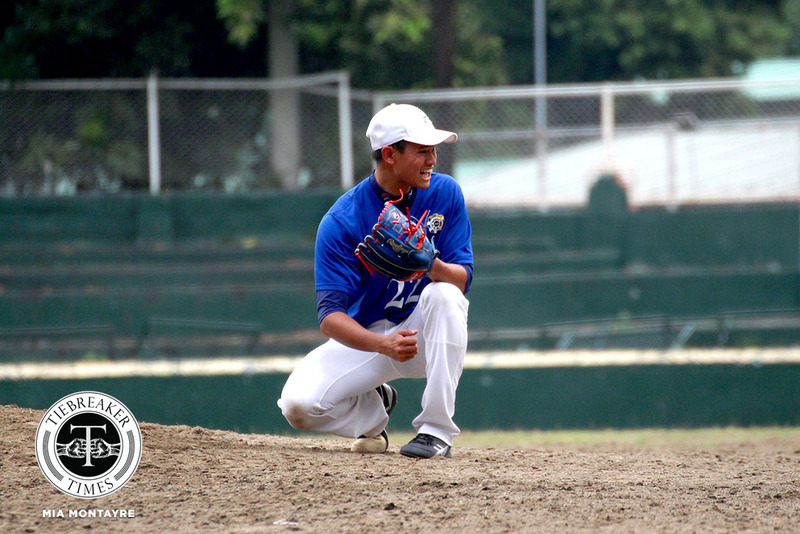 Paulo Macasaet, who pitched just five innings against Adamson, had a no-relief game. The reigning best pitcher had a pitch count of 150 in the contest, striking out six batters. His brother Javi went 3-of-5 at-bat, tallying two RBIs and two runs, while efficient hitter Alindogan went 2-of-4. Acuña played his best game for La Salle so far, as the rookie second baseman went 3-of-4. Kiko Gesmundo started on the mound for the Green Batters. Both Ateneo and La Salle will play their final games of the round on Sunday, February 18. The Blue Eagles face the University of Santo Tomas Golden Sox in a Finals rematch, while the Green Batters looks to vent their ire on the University of Santo Tomas Fighting Maroons.